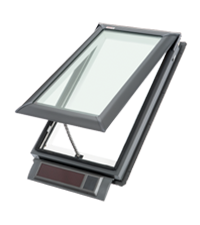 The VELUX VSS M06 solar powered skylight is the cadillac of venting skylights. Easy installation with no need to run electrical wiring. Remote control to open and close as you please. All this while increasing light in your home and having access to fresh air as you please. What happens if it rains? Won't all of my stuff get wet? No way! 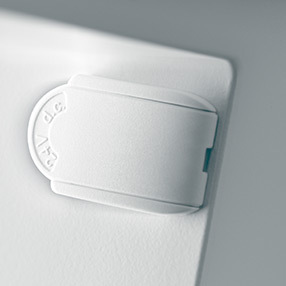 All VELUX Solar Skylights come equiped with a rain sensor that will automatically close the unit as soon as it detects any rain. Does it work when it's cloudy? Yes, it unit will continue to charge and operate even when it's cloudy! 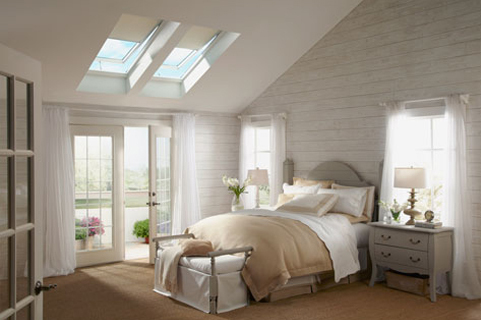 VELUX Solar Skylights are made to bring in light and fresh air to otherwise dark, non-venting locations in your home. They come with a 10 year warranty on product and installation to keep your mind at ease and will have a wonderful. Talk to your local conractor for sizing and installation costs . 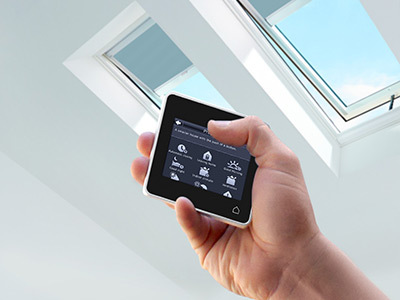 ALL VELUX Solar Powered Skylights arrive with a pre-programmed remote control. 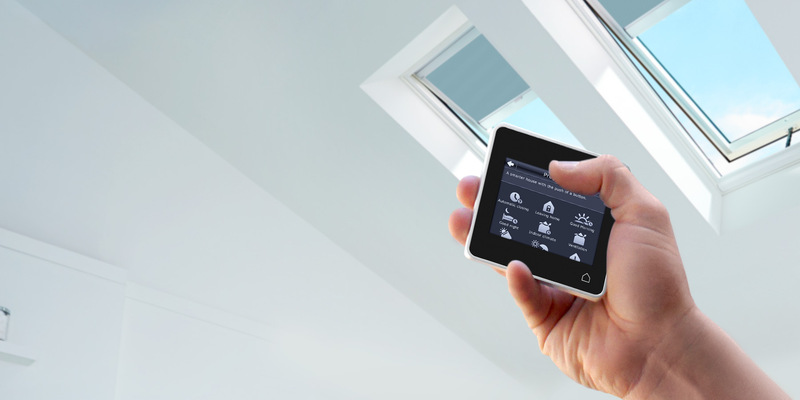 This remote give you the ability to open or close your skylights with the touch of a button. They are fully programmable so you can set a schedule and have the skylights open and close at a predetermined time. 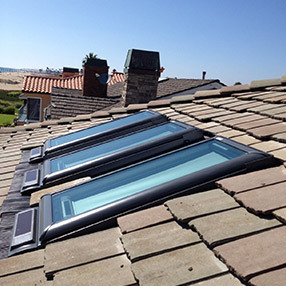 Solar Powered skylights can easily replace a fixed or manual skylight since no wiring is required. 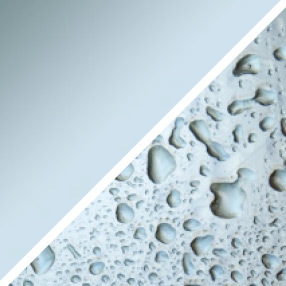 Helps to keep you skylight clean, reduces unwanted outside noise and is made for out-of-reach installations. VELUX Solar Powered Skylights are available in the following size ranges. Your installer will help you determine the exact size needed for your space. 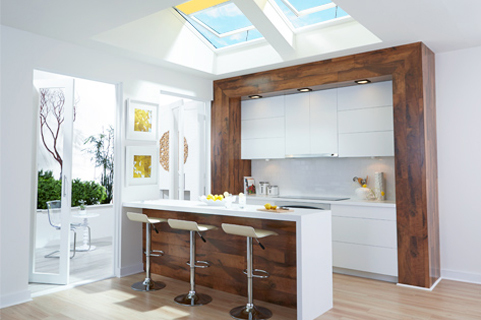 The cost to install the VELUX Solar Powered Skylights depends on your specific project. The estimates below include installation of a single (1) new skylight, the cost of labor for both the exterior as well as the interior finish. Talk to a local contractor get a better cost estimate based on your project.